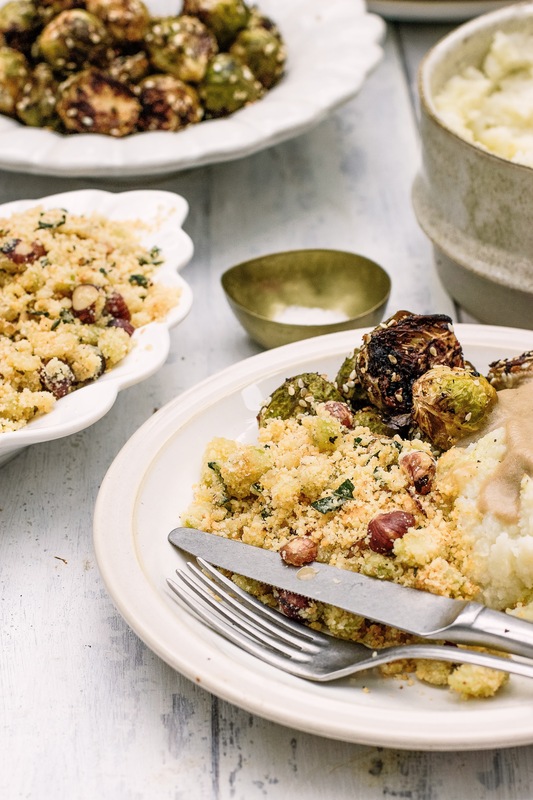 Sage and hazelnuts are such a delicious pairing and this stuffing so easy to make. 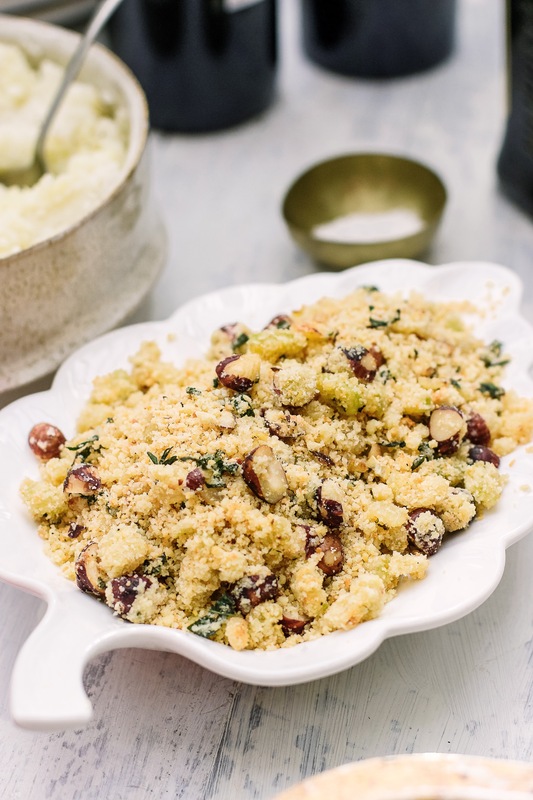 The ground almonds take the place of bread crumbs to keep it grain free but with a gorgeous texture. You can keep it veggie and serve it as is or use it to stuff your turkey. Add half of the olive oil to a large pan on medium heat. Dice the onion and celery and mince the garlic. Add them to the pan with the thyme leaves and cook for a few minutes until the onions are starting to soften. Roughly chop the hazelnuts and sage and add them to the pan. Cook for about 3 minutes until the sage is starting to crisp. Add in the ground almonds and drizzle over the remaining olive oil. Season with salt and pepper and toss everything well. Continue to cook, tossing regularly, until all of the almonds are golden.